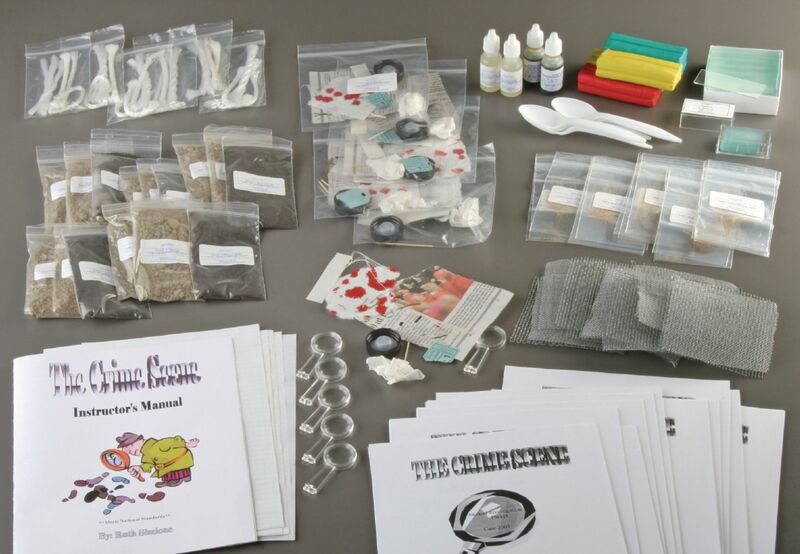 Test students’ skills in a variety of evidence analysis techniques with one comprehensive kit. 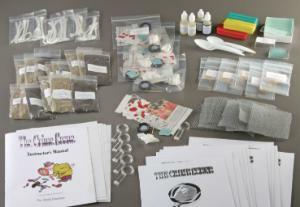 Materials are provided for setting up a simulated crime scene with different types of evidence. In efforts to solve the crime presented, students apply skills of scene mapping, hair analysis, fingerprinting, soil analysis, rope analysis, and more. Supplies are provided for four classes of 24 students along with a teacher manual and student investigation packet.